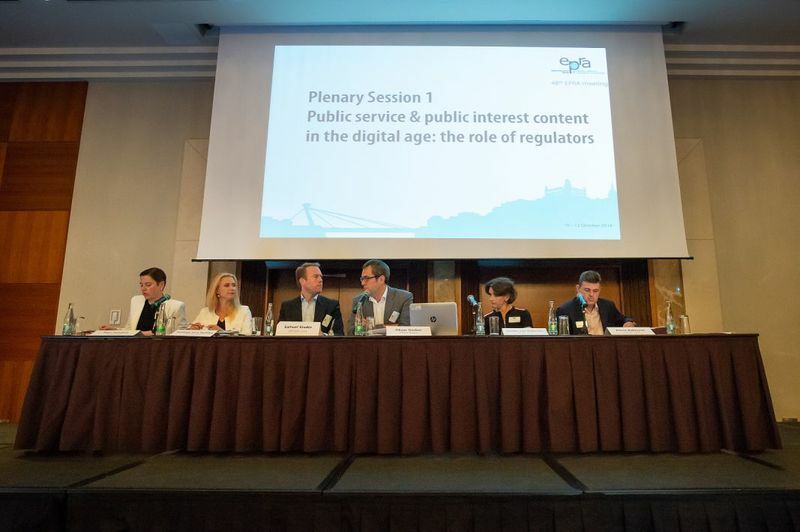 On 2 April 2019, EPRA published the final version of a comparative background document titled "Public service and public interest content in the digital age: the role of regulators". the powers that the regulatory authorities have in respect of PSM in general and the current challenges in particular. PSM concept: regulatory authorities still consider the traditional concept of PSM and thus the requirements placed on the relevant providers to be generally valid and important. This seems to indicate that NRAs see the primary challenge for PSM as the adaptation of existing public service broadcasters to digital conditions. The respondents have highlighted the particular importance of the production and distribution of high-quality and trusted content. Challenges for PSM from the regulators' perspective: the most frequently mentioned challenges were stabilising or expanding reach and ensuring sufficient financial resources to allow PSM to respond appropriately to changes in the wider media environment. If PSM are to be able to continue to perform the many and varied tasks that traditionally fall to them and which, in the opinion of the majority of respondents, should be retained, appropriate measures are required in these areas. In addition, measures are required to allow them to develop appropriate responses to reach audiences and to deliver content in the digital age. Strengthening or maintaining the independence of PSM organisations remains a challenge in several jurisdictions. Powers of regulatory authorities: generally, over recent years, there is a trend towards a reinforcement of the powers of independent regulators with regard to the assessment of PSM performance. As a rule, however, NRAs do not have competence to set the amount of the PSM's budget, nor can they take measures in terms of strategic direction, editorial decision-making or audience reach. As such, NRAs have only limited possibilities to directly influence developments in these key challenges for PSM. EPRA’s Work Programme for 2018 included an annual theme on “Public service and public interest content in the digital age”. The objective of the spring plenary session, which took place on 24 May 2018 in Luxembourg, was to bring together a selection of key stakeholders to report on their perception of current challenges in the provision, distribution and delivery of public service and public interest content. The background document "Public Service and public interest in the digital age” which was produced on that occasion listed several of the current challenges and problems facing PSM in Europe. The second plenary session, which took place on 11 October 2018 in Bratislava, focused on EPRA members’ perception of the challenges facing PSM in the digital age and on the role that broadcasting regulators play in the supervision of PSM. On that occasion, four presentations by regulators from authorities vested with wide-ranging competences in the supervision of public service media provided an opportunity to highlight the particular regulatory challenges that public broadcasters currently face in their respective countries and to report on how regulation can facilitate PSM through transparency and accountability mechanisms, both in respect of the remit of PSM and in their use of public funding and other economic resources. EPRA comparative paper "Public service and public interest content in the digital age: the role of regulators"